When playing worship songs, It not uncommon to see a worship team consisting of a lead guitar, an acoustic guitar, a guy on bass, a drummer and a keyboard player shove in a corner intimated by the rhythm section and barley playing. Guitar Players have dominated the world of Contemporary Christian and worship songs. This leaves little room for the keyboard to do his thing. Many worship songs are guitar driven. By knowing the chords use by seasoned musician for playing worship songs, the keyboardist will get some much needed attention. Knowing how to play worship songs on the keyboard the right way will always land the perfect gig and get you turned up in the mix. When it comes to playing worship songs on the piano or keyboard many artist lead the way. 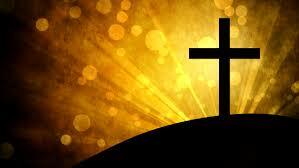 Artist like Chris Tomlin, Kurt Carr, David Crowder, William McDowell, Matt Redman, Byron Cage, Steve Fee and Tasha Cobb. 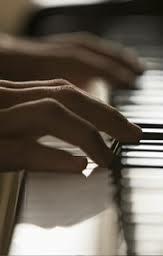 Even before worship songs evolved into a full band piano worship songs would accompany the soloist and choir. It was not until the early 90’s that worship songs begin to mirror the sound of pop music. To be proficient at playing worship songs the keyboardist can’t think like pianist. In order to blend with a barrage of guitars the keyboard instrument has to create a foundation, a sort of layering property in which the band can play on top of. Many keyboardists refer to this type of sound as an analog synth “pad.” The synth pad sound is extremely popular in worship songs. The pad is a sustained harmony often played in the background creating a string section like quality adding atmospheric sounds and other analog textures to the music, therefore creating a sound that blends perfectly with worship songs. Unlike the percussive attach of the piano, the organ pad or Hammond B3 sound add a rich layer to a worship songs. When you need and extra harmonic bite to the mix, the aggressive organ can add as extra soulful energy that can take worship songs to the next level. The pure fender Rhodes piano will add a mellow foundation to the music without the percussive attach of the acoustic piano. The Fender Rhodes piano is the perfect blend between a mellow non-invasive piano and worship songs with lot of guitar. So yes the keyboard does play a major role in Contemporary Christian and worship songs. If your sound is getting lost in the mix your probably playing simple chords, maybe even triads that don’t pair well with worship songs. Seasoned artist like those mention earlier understand this principle well. In order to play like the pros you must learn chords that are “voiced” for playing worship songs. I can help you with that part. 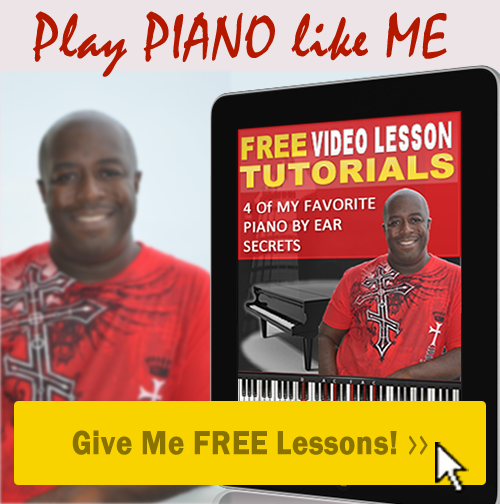 My Contemporary Keyboard Harmony I Course I will teach you the secrets that the pros use to play their worship songs that will blow your audience away. “Click Here” to learn more about my Contemporary Keyboard Harmony I course.